Welcome to Colonial Heights Townhouses! Colonial Heights offers a comfortable and spacious living environment, which enhances a student's opportunity to grow spiritually, academically, and socially. We are on a corner lot located one street east of campus. 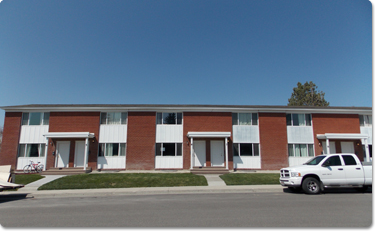 Each three level townhouse is approximately 1,560 square feet and is BYU approved. Come visit us today for a free tour!